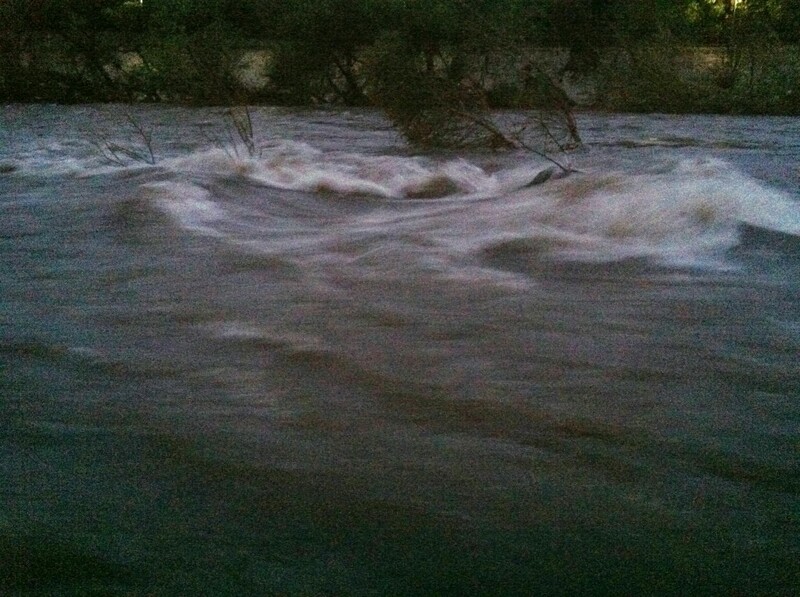 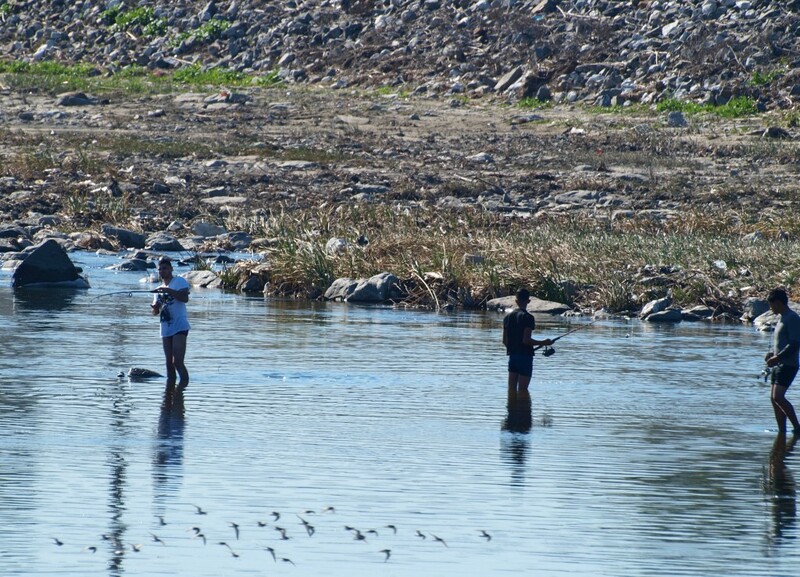 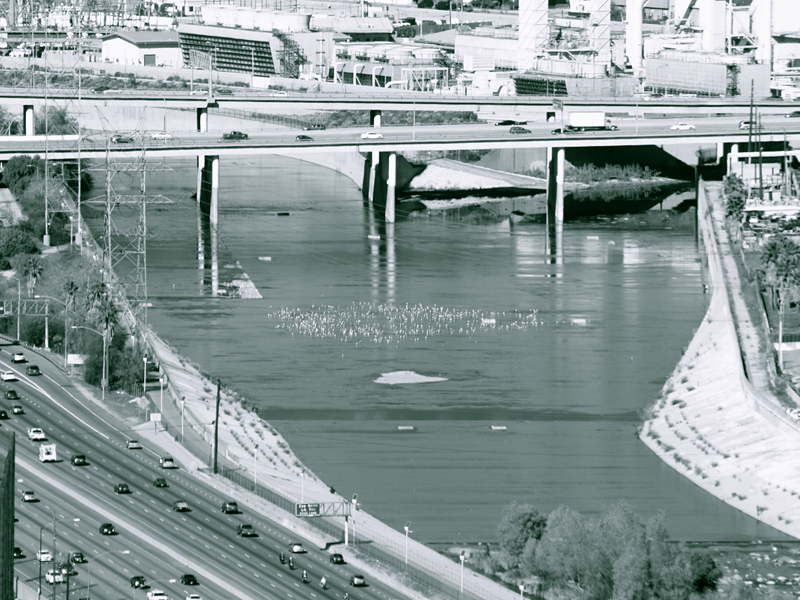 The river speaks different languages as one moves upstream, from its mouth in Long Beach, through the various confluences of the midsection, to its emergence in San Fernando Valley. 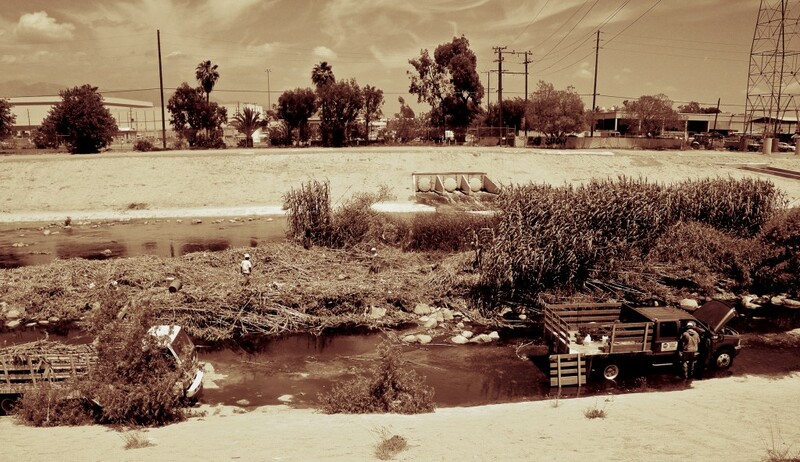 Recently, numerous organizations have been doing important work toward “daylighting” urban streams, which often entails removing structures or redirecting channels; these efforts try to make such streams visible or accessible again. 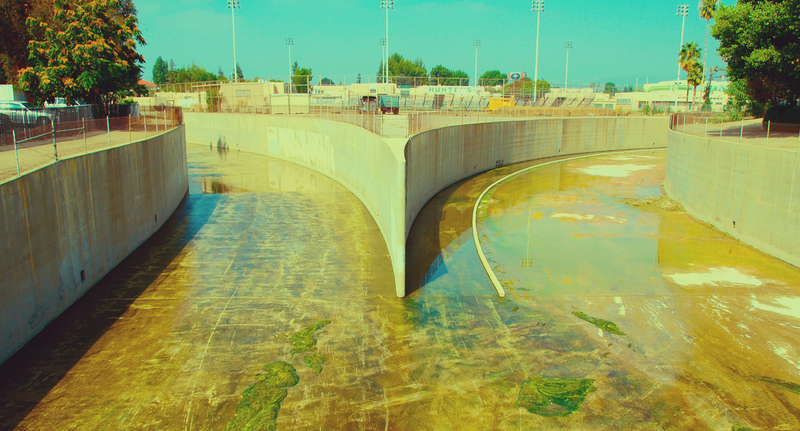 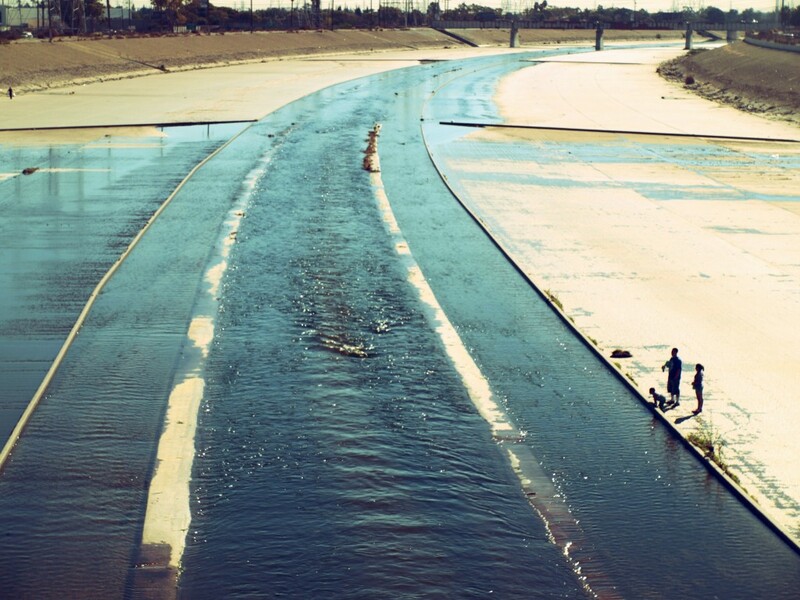 In the case of the Los Angeles River, the 51-mile watercourse is visible—it can be seen as well as heard—but it runs in the shadows of mainstream understanding, under cover of traffic and construction and production sounds, conceptually inaccessible. 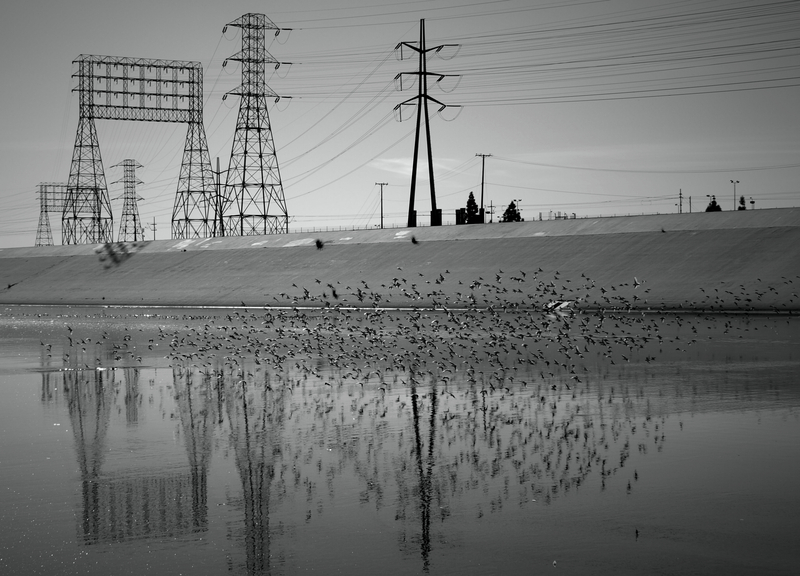 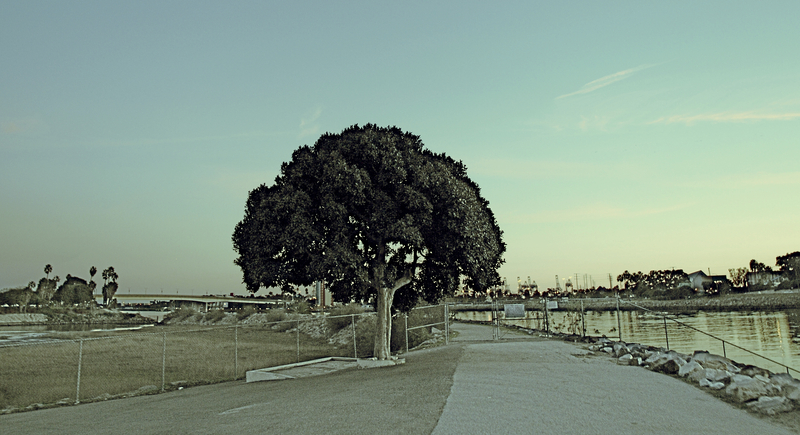 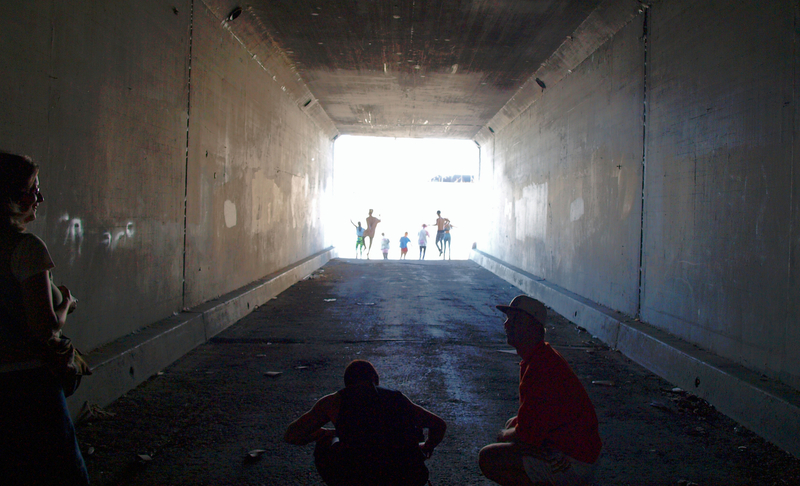 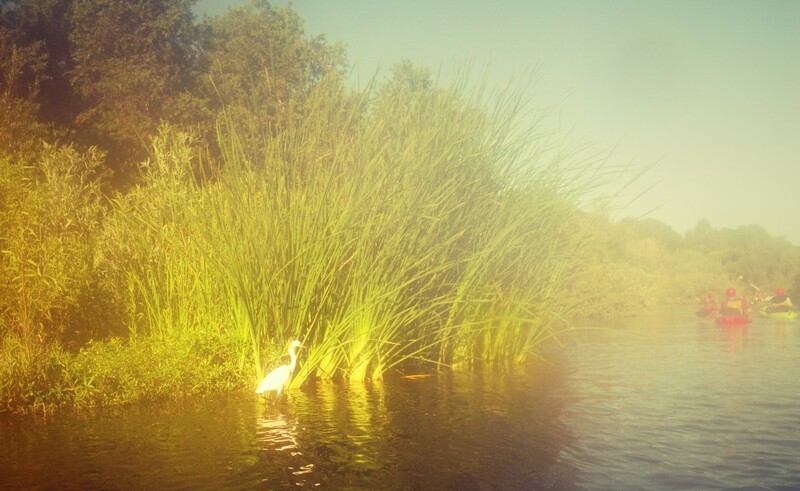 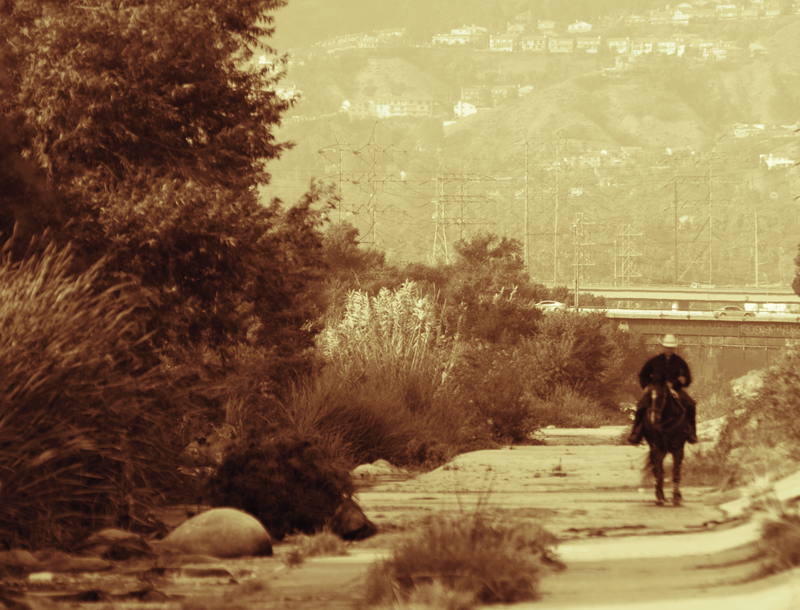 To daylight a landform such as the L.A. River, we have to learn how to look and listen. T.S. 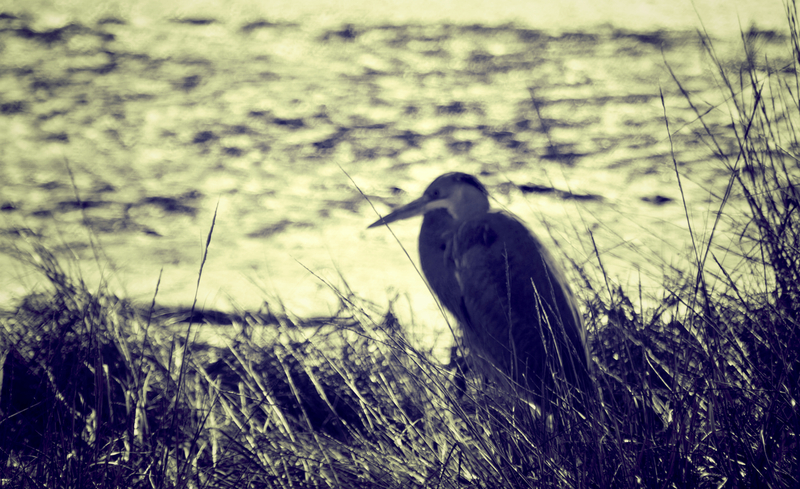 McMillin is the author of a book on The Meaning of Rivers (2011) and a blog by the same name. 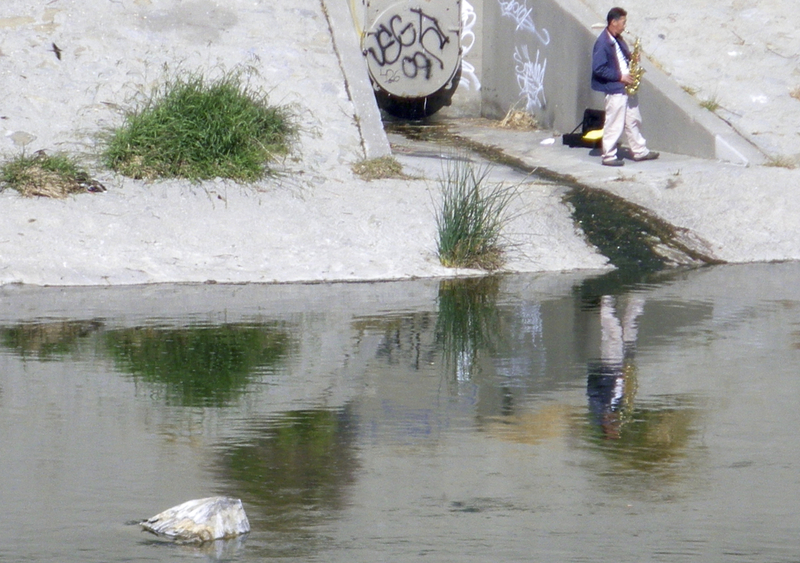 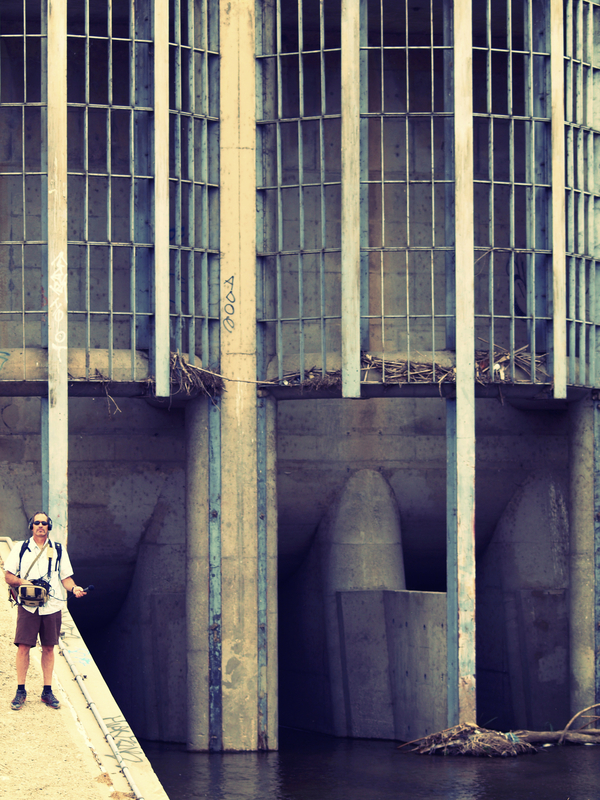 His current research, in the emergent field of Textual Potamology, centers on the Los Angeles River.